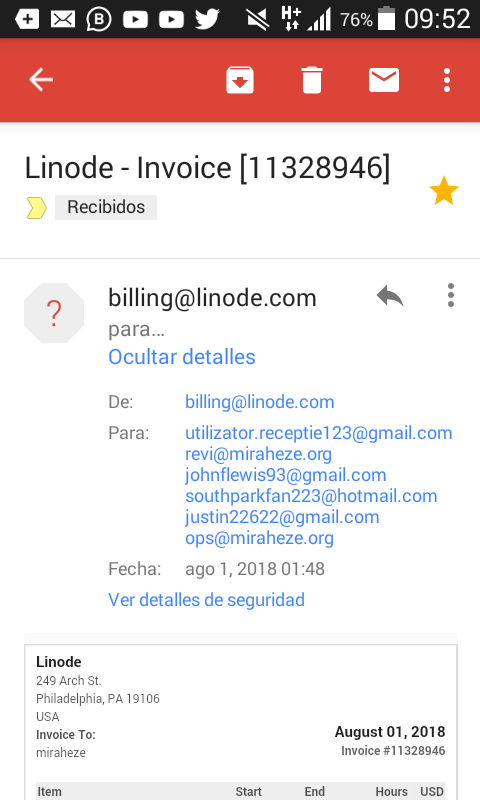 A CVT member just told me that they received a Linode invoice. This is most likely due to an issue with Mail, causing ops@ mail to be sent to other users. Reception123 created this object in space Restricted Space. Reception123 triaged this task as Unbreak Now! priority. Reception123 added subscribers: John, Paladox. John removed a project: Security. Also to note publicly, we shouldn't be sending these sort of emails to ops@ anyway.